This entry was posted on Friday, January 22nd, 2010 at 12:39 am and is filed under Publication process, Technical issues. You can follow any responses to this entry through the RSS 2.0 feed. You can leave a response, or trackback from your own site. 19 Responses to What is typesetting? I am curious about two things in your experience. First, when you typeset a book, do you use serif or sans-serif fonts? I ask because your first graphic example above is sans while the others are serifed. I think the #1 error inexperienced designers and self-publishers make is to use a sans font as the book text. What are your thoughts about this? Am I wrong? Can one effectively use a sans font for book texts? Second, what are your thoughts about hyphenation? Should hyphenation be used? This becomes a more significant issue when non-English words are used in a DTP program with English hyphenation rules. If you use hyphenation in your texts with Asian romanized words? If you do, usually to prevent rivers or unsightly gaps, do you have your authors check the hyphenation or do you spot check to make sure the non-English words are not hyphenated? thanks for the description of typesetting and its relationship to typography, however my concern is on its difference from typewriting and word processing. I would like to know more about typesetting,especially on how to do it and able to practice it. Second is to thank the producer for producing the manuscrip that is helpfull. I agree with your comments regarding the use of sans serif fonts in most books. However, there are cases for using them in body text, too. Those acquiring literacy skills for the first time are taught letter shapes based on their hand printed form. Therefore, early reading books often use a sans serif font, as it more closely resembles a handwritten text, which is more familiar and subsequently easier to read. Many African languages use the Roman alphabet with ‘additional’ graphemes such as the schwa. For these languages, serif fonts can make reading more difficult. This is possibly best illustrated by comparing a serif ‘a’ with a schwa (aǝ). Is there a way to have sentences in a paragraph of equal length without having so much space between words that it looks like crap? You need the right software. 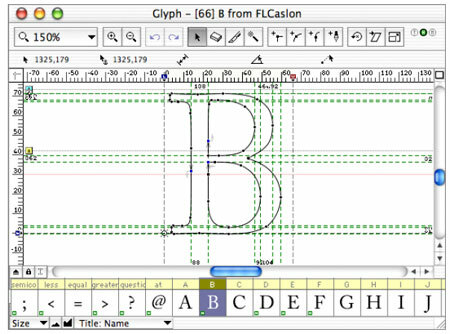 For instance, with Adobe InDesign, the main program that typesetting professionals use, you can very finely control letter spacing and do many other things besides. This you cannot do in Word, which is useless for laying out text. The problem is that InDesign doesn’t come cheap (though the monthly subscription isn’t too bad). I stumbled upon your article reading for my PR exams, I’m so glad I did. Interesting article even clear for beginners like me. After reading this piece, I’m more inclined to perfecting the elements to write any copy in a business environment that can get published. I now understand that there are many steps, milestones that a copy goes through from a writer to proofreaders via type setter. My question is- In order to specialize in writing and understand each elements involved in editing to write a productive copy, Is it better to start a career in a News agency in editing team or Public Relations firm in the writing. A lot of PR people come to the field via journalism. This is ideal if your work will involve getting journalists to take your stuff. However, if you are more interested in copy writing rather than PR hustling, then there’s a lot to say for getting your hands dirty by actually writing copy. Two things, however. First, I am not exactly knowledgeable in this area so I may be talking nonsense. Second, it may take far longer to get anywhere professionally by starting as a lowly (maybe unpaid) trainee copy writer than having invested time in gaining journalistic (including writing) skills first. Yes, that’s a great point. In fact, very logical.This will help a lot. Thanks Gerald. Appreciate your recommendation.